…or shall we say king banana bread. Banana bread of banana breads. 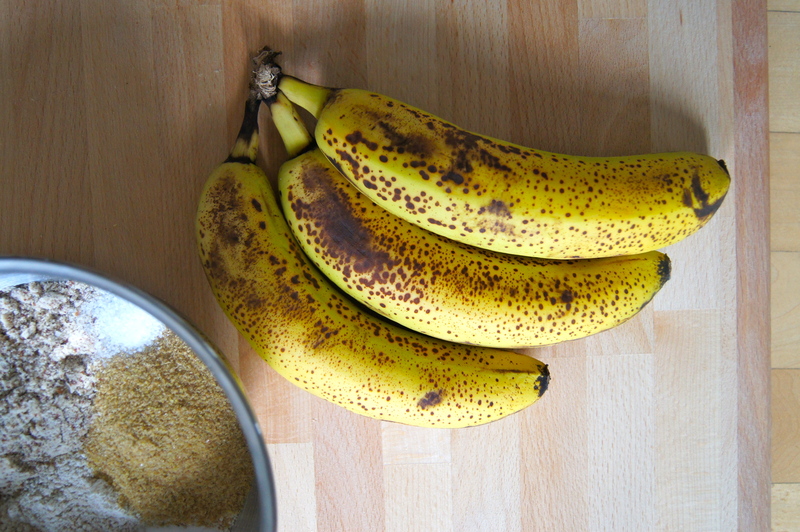 Creme de le banana bread. 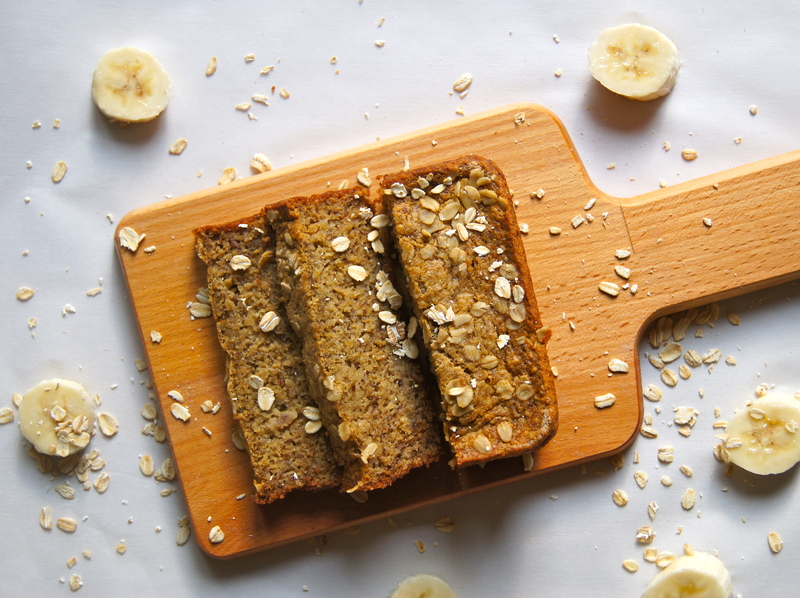 Banana bread-mazing. You get the point? Okay, I’ll stop. 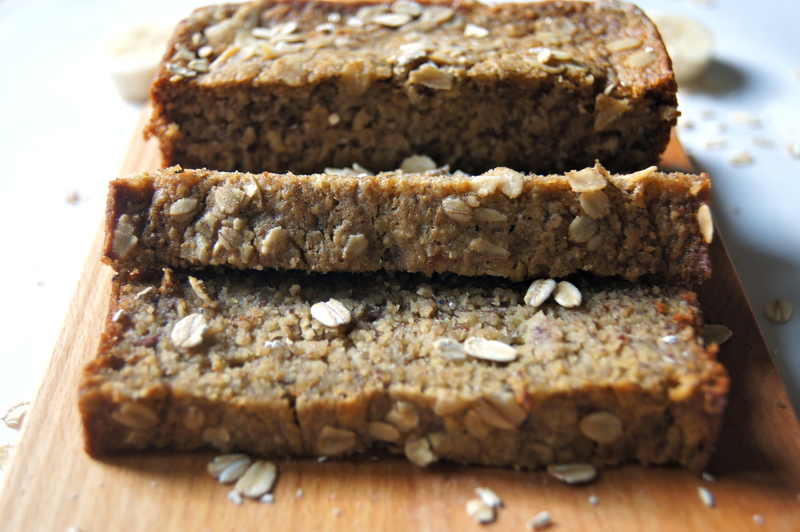 I took this long time favorite of ours and transformed it into Nourished Banana Bread. Now, I must warn you. This recipe contains no refined sugar. No gluten or crazy “gluten-free flour blend” that you need to go buy. And chances are, if you utilize any of my “baking” recipes you already have all of these ingredients sitting right in your freezer or pantry-they are my baking “staples”. My kids cry for more. My husband gives me an extra squishy pat on the teezo (arabic slang, why not?!). My friends are astounded that a sweet treat that’s typically packed full of unhealthful garbage (delicious, garbage, I will admit) can actually be transformed into something they can feel good feeding their kiddos for breakfast. This, right here friends, is why I love to cook. And get the recipe in your hands. 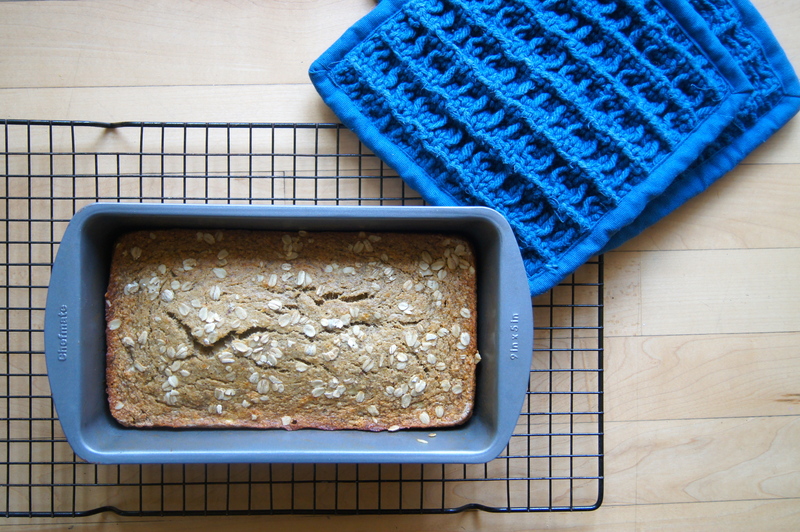 I assure you, this is the ONLY banana bread recipe you will ever need. I can’t describe it. Mostly because I feel compelled to use the word moist, which I know you would greatly appreciate me refraining from. I know, it’s too much for me, too. So then I googled “a synonym for moist” and was given an even worse option: “slightly wet”. Lord, help me. So I’m just going to go ahead and count my losses and tell you that it is delicious and stop at that. Num. Preheat oven to 350 and grease a 9×5 inch loaf pan with butter. 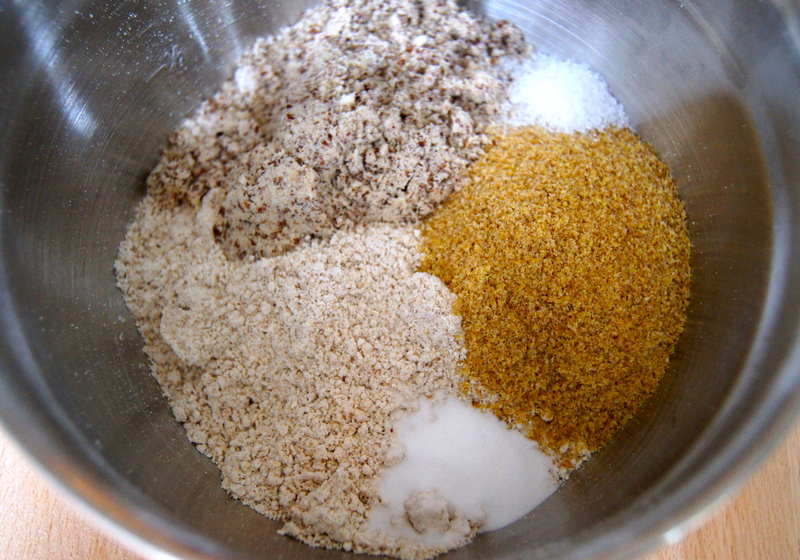 Place the oat flour, flax meal, almond meal, baking soda and salt in a medium bowl and whisk to combine. 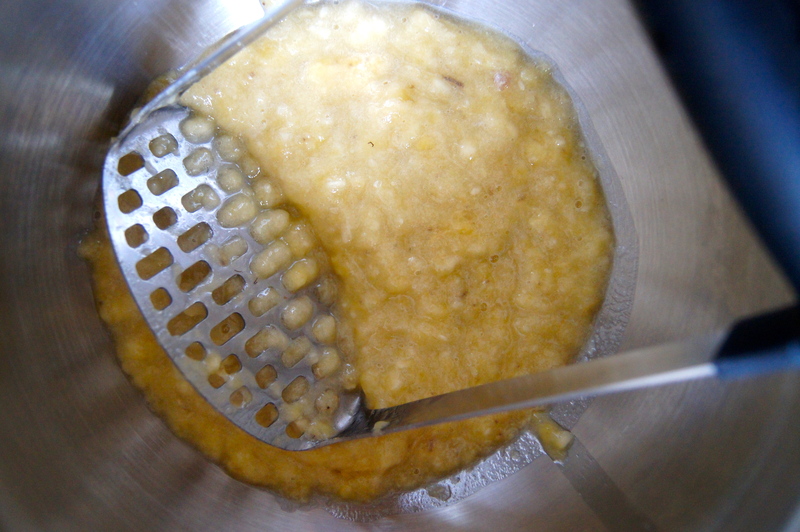 In a large bowl whisk the bananas, honey, butter, eggs and vanilla together until well-combined. 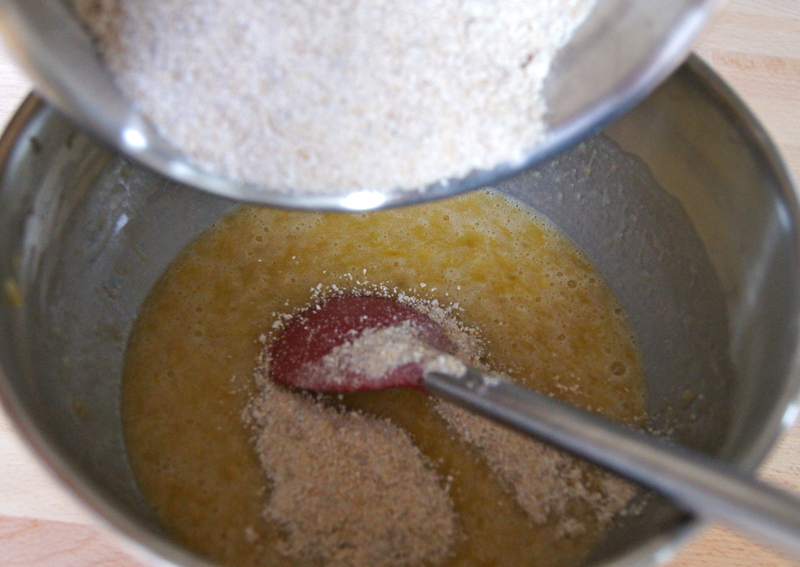 Pour the dry ingredients into the banana mixture and stir gently until all ingredients are just incorporated. Pour into prepared baking pan (and sprinkle the top with whole oats, if desired) and bake for 50-55 minutes or until a toothpick inserted in the center comes out clean. Let cool before removing from the pan. I made this yesterday and we enjoyed it so much. Melissa I met you at the Savage Pool – I went to high school with Nick. Thanks so much for this recipe. I will be making it again and again. I’ve been hoping to hear from you Emily…what a treat! I’m so glad you enjoyed the banana bread..hope those adorable kiddos liked it too:) was such a pleasure to meet you..I hope to see you there again soon! Everyone loved it. Nate doesn’t tolerate gluten real well, and I have trouble with dairy…so we try lots of paleo, whole30 type recipes. This is a favorite so far, fits everyone’s needs. AND I love the low sugar. Also, I didn’t have the flax meal so I subbed in almond meal (an extra 1/4 cup) and it worked great! ~ Thanks Melissa. My children have given this recipe their seal of approval. Although we made muffins instead of a loaf. Perfect breakfast on the go for our busy mornings. I’ve just discovered your blog and I can’t wait to try many more of your recipes. Thanks for sharing! Well what prefect timing..you’ll probably love the blueberry banana muffins I wrote about today:) thank you so much for the note..I’m tickled to have your following!